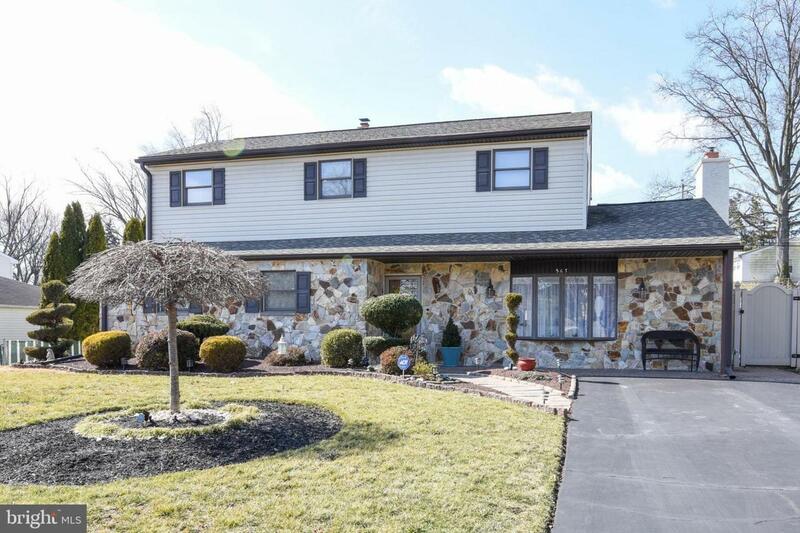 You won't be disappointed with this beautiful meticulously kept 5 bedroom, 2 bath home with stunning curb appeal in the desirable Neshaminy school district. 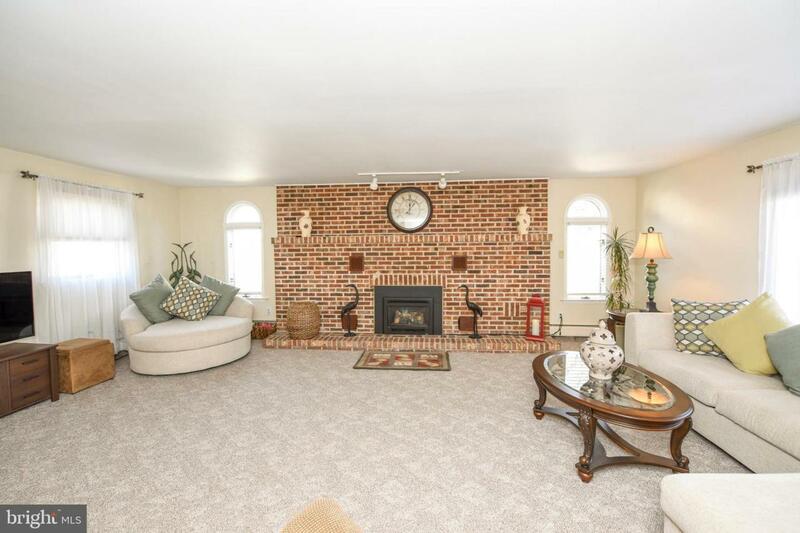 The front of this stone and siding home boasts gorgeous, professional landscaping and covered brick paver walkway. You will be so pleased as you walk into the entry foyer and then into a huge bright, sunny living room with bay window, brick gas fireplace and newer neutral carpeting; dining room area with chandelier and coat closet; completely remodeled kitchen with granite counter tops, tile back-splash, stainless steel appliances, custom cream cabinets with crown molding; under-mount sink, gas cooking, breakfast bar with seating for 2 for those quick, informal meals and large opening with pendant lights to the spacious family room with multiple windows overlooking the patio and huge backyard, perfect for those summer barbecues; French doors to your first floor master bedroom with double closet; master bath with large vanity sink and tub/shower, linen closet and an additional door to the hallway; 2nd main floor bedroom; laundry room with newer washer, dryer (included as is), storage cabinet and closet. 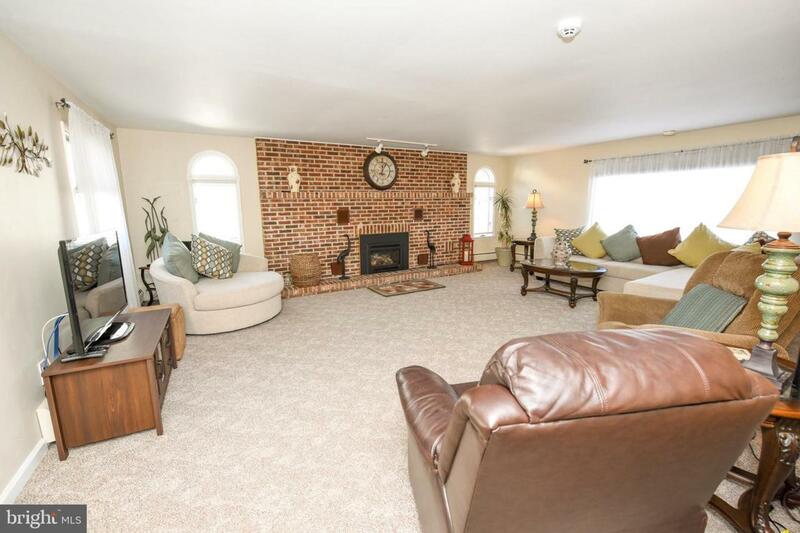 Second floor; large loft area with newer carpets,recessed lights and ceiling fan; 3 additional spacious bedrooms; huge hall bath with double vanity sink; tub/shower and stall shower. 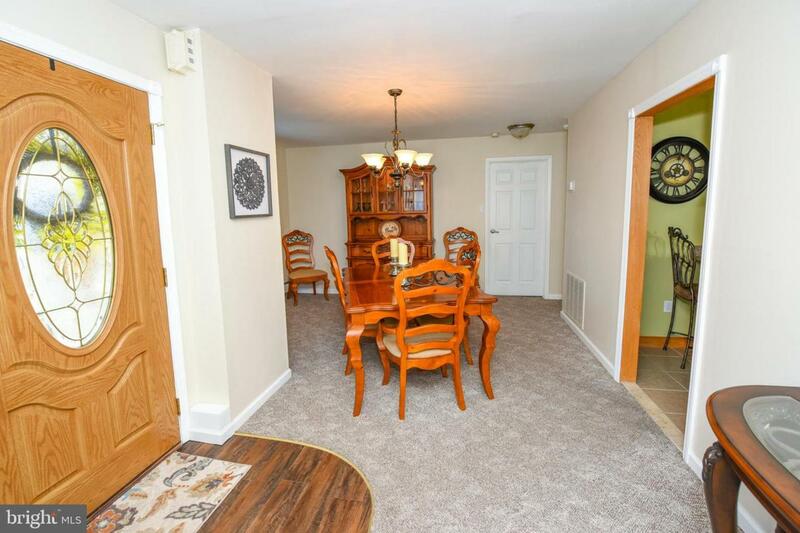 Additional features: gas baseboard heat; large back yard shed, 4 window air conditioners included, paver walkway to the fenced-in backyard with vinyl privacy fence and so much more!! Make your appointment today! !